Dennis Ferrer has a decent track record as a producer and remixer, with various hits and club anthems to his name, not to mention a decade-long relationship with Defected Records. Outside of his own imprint Objektivity, Defected has provided a home to some of Ferrer’s biggest hits as well as a platform to many of his DJ sets, like the one he recently played at Defected Croatia Festival 2016. 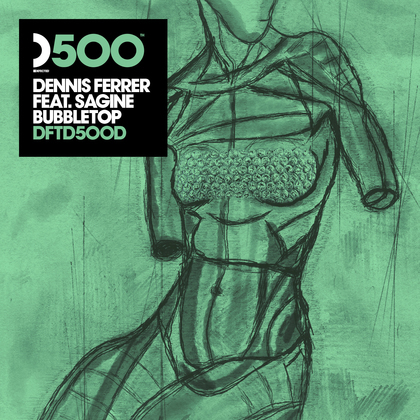 So, who better to do the honours for the label’s momentous 500th release, or 'DFTD500’, than Dennis Ferrer. 'Bubbletop' is Dennis at his most bold and salacious. The track features the sassiest of vocals from Sagine, with the punchy bassline giving a tonne of attitude and will likely get stuck in your head after the first listen. Each Dennis track usually speaks for itself, and ‘Bubbletop’ more than meets expectations with his production, finished off with his quirky style. Dennis Ferrer: "Defected has provided me with a base of support throughout the years that is pretty much immeasurable in its worth. I've benefited greatly from the hard working staff breaking records and Simon's (Dunmore) constant vigil in providing the fan base with quality dance records throughout the years. I truly believe that Defected's contribution to the history of dance music has been cemented with the 500th release and to this I tip my hat... for I am not only a contributor, but also a fan. Congratulations are in order." The track’s out now, check it out below.